Donald Isler reviews Inna’s recent performance in The Classical Music Guide as part of the recent 14th International Keyboard Institute and Festival at Mannes College. “Last Sunday evening, pianist Inna Faliks closed the fourth season of her Music/Words series at the West Village institution, Cornelia Street Café, in New York City. It was an intimate affair in the Café’s cozy basement theatre, and Inna was joined by soprano Samatha Malk, Brazilian pianist and singer Clarice Assad, and poet Irina Mashinski. The potpourri of solo piano, songs, and poetry readings hearkens back to old European salons of the turn of the century. Yet the evening was thoroughly enjoyable and modern…” READ FULL ARTICLE. Music/Words continues its fourth season on Sunday, April 22, 2012, at 6:00 pm with a performance at New York’s Cornelia Street Cafe featuring Inna Faliks alongside guest Clarice Assad at the piano along with soprano Samantha Malk and poet Irina Mashinski. The program will explore the sensuousness of early Schoenberg (with the Stefan Georgy poetry used in the songs), along with the passion of Mashinski’s poetry and Assad’s Brazilian music. The program includes Schoenberg’s Drei Klavierstucke, opus 11; his songs from Book of Hanging Gardens; and various improvisations by Ms. Assad based on Brazilian piano music. The Cornelia Street Café (www.corneliastreetcafe.com) is located at 29 Cornelia Street, Greenwich Village, NYC. Tickets are $20 and are available by calling 212-989-9319. In this performance, Ms. Mashinski will tailor her readings to Ms. Assad’s and Ms. Faliks’ musical selections, finding poems from her own works that connect with the music. Music/Words will be featured in regular live broadcasts throughout the month of April on WFMT Radio in Chicago. Described by the San Francisco Chronicle as a “serious triple threat,” and “an arranger and orchestrator of great imagination” (SF Classical Voice), Clarice Assad (www.clariceassad.com) is making her mark in the music world as a pianist, arranger, as a vocalist and as a composer. A versatile artist of musical depth and sophistication, her works have been published in France (Editions Lemoine), Germany (Trekel), and in the United States (Virtual Artists Collective Publishing), and have been performed in Europe, South America, the United States and Japan. Miss Assad’s music often have a thematic core, and explore the physical and psychological elements of the chosen story or concept. With a repertoire in continuous expansion, her works are sought out by musicians both in the classical and the jazz realms. South African soprano Samantha Malk recently returned from a concert tour around China, Vietnam and Thailand. At the end of 2010, she was thrilled to make her Weill Hall debut recital at Carnegie Hall. During that summer, she finished her engagement as a young artist for the Steans Institute at the Ravinia Music Festival in Chicago. In July 2010, the International Contemporary Ensemble invited Samantha as the guest soprano in a live broadcast on WQXR Classical Radio New York as well as a two-day music festival celebrating the music of Edgar Varèse at Alice Tully Hall. Earlier that year, during an alumni residency, Samantha performed songs of Debussy and Schumann lieder at the Britten Pears Music Festival. Her operatic roles include Zerlina in Don Giovanni, Nannetta in Falstaff, Belinda in Dido and Aeneas and Susanna in Le nozze di Figaro. After immigrating to the United States, Samantha came to study music, earning her Bachelor of Music at Indiana University and her Master of Music at Manhattan School of Music. Bilingual poet and translator Irina Mashinski has authored seven books of poetry in Russian, and her most recent collections are Volk (Wolf) and Raznochinets pervyi sneg i drugie stikhotvoreniia (Raznochinets First Snow and Other Poems). Her work has appeared in a variety of literary journals and anthologies, including Poetry International, Fulcrum, Zeek, The London Magazine, and An Anthology of Contemporary Russian Women Poets. She is the co-editor of the forthcoming Anthology of Russian Poetry from Pushkin to Brodsky, as well as co-founder and co-editor of the Cardinal Points literary journal, published in the U.S. in English and Russian. She also serves on the editorial board for the NYC based translation project “Ars-Interpes.” Irina Mashinski is the winner of several literary awards, including the First Prizes at the Russian America (2001), Maximilian Voloshin (2003), and other poetry contests. Her poetry has been translated into English, French, Italian, Spanish, and Serbian. Notes: Music/Words. Inna is joined by Clarice Assad piano, Samantha Malk, soprano, and Irina Mashinski, poet. 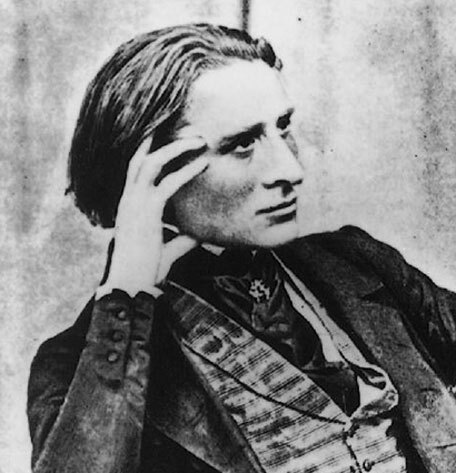 Celebrating Franz Liszt: Solo and Seldom Heard Four Hand Music will take place on Wednesday, February 29, 2012 at 7:30 PM at Yamaha Piano Salon, 689 Fifth Avenue, 3rd Floor, in New York City. This concert, featuring pianists Inna Faliks, Tanya Gabrielian, and Emma Tahmiziàn, is co-hosted by Pro Musicis and Yamaha Artist Services and will include Liszt’s Transcendental Etudes, transcriptions of symphonic poems, and the Dante Sonata. Tickets are $25 at the door for the concert and a post show reception. Reservations can be made by contacting Pro Musicis 212-787-0993or yasi@yamaha.com. This concert will be webcast live at http://www.yamaha.com/yasi/multimedia.html. Inna is excited about the upcoming 2012-13 season which takes her to her favorite venues from Chicago to Paris and brings her to Minnesota and to the Peninsula Festival (Wisconsin). Inna is also excited about her upcoming collaboration with violinist Jasmine Lin in 2012-13. More details to come soon, including dates and detailed information, on all of these performances. Poet Tom Thompson will appear Feb 10th at the Gershwin Hotel, NYC; Inna is joined by Dimitry Dover, piano four hands. Poet Irina Mashinski will appear on April 22nd at Cornelia Street Cafe, NYC, with Inna on piano. You can read more about Thompson and Mashinski below. Music/Words will once again be featured on 98.7 WFMT-Chicago on April 16th and 23rd, both at 8 pm. Music/Words, an interdisciplinary series founded and curated by Inna Faliks begins its fourth season on Friday, November 18, at 7:30pm with a performance at New York’s Yamaha Artist Services Piano Salon featuring Faliks at the piano along with readings by poet Cecily Parks. The varied program will include C.P.E. Bach’s Sonata in a minor, Chopin’s Barcarolle opus 60, Lera Auerbach’s “Ludwig’s Alptraum, NYC based composer Ljova (Lev Zhurbin)’s Sirota, and Beethoven’s Sonata opus 57, “Appassionata.” Yamaha Artist Services Piano Salon is located at 689 5th Ave. in New York. Tickets are $20 and are available by calling 212-339-9995. MUSIC/WORDS celebrates links between poetry and music by presenting collaborations between exciting solo performers and acclaimed contemporary poets in the form of a live recital/reading. Inna Faliks created the series in order to foster a chance for poets and musicians to work together and inspire each other, as well as to allow different audiences to come together for these musical-literary events. New published and unpublished works are read alongside performances of music old and new and connected by content, intuition, and inspiration. According to Faliks, “I pair performers together based on their personalities and styles, and encourage them to choose the poems and music in varied ways that are strongly and intuitively connected.” In this performance, Ms. Parks will tailor her readings to Ms. Faliks’ musical selections, finding poems (by herself and by other poets) that connect with the music. Music/Words will be featured in regular live broadcasts throughout the month of April 2012 on WFMT Radio in Chicago. 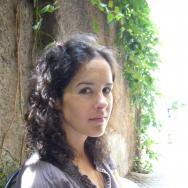 Cecily Parks is the author of the poetry collection Field Folly Snow and the chapbook Cold Work. Her poetry, reviews, and essays appear in Boston Review, Kenyon Review, Orion, The Yale Review, and elsewhere. Feb 10th at the Gershwin Hotel,NYC, with Dimitry Dover and Inna Faliks piano four hands, poet TBA. April 22nd, Cornelia Street Cafe, NYC, with Inna Faliks piano, and Irina Mashinski, poet. 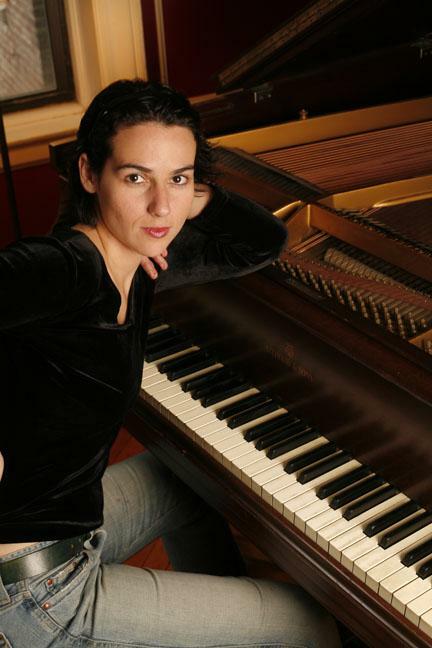 On February 29, 2012 at 7:30pm, Inna serves as artistic director/curator for a Liszt Festival, featuring Faliks on piano along with pianists J.Y. Song and Tanya Gabrielan. The program includes Liszt solo works, transcriptions and four hand/two piano repertoire. Ju-Ying Song‘s numerous awards include Pro Piano Artist of the Year, Pro Musicis International Award, Grand Prize at Palm Beach Invitational Piano Competition, $25,000 Christel Award from American Pianists Association, Sudler Prize for outstanding achievement in the arts from Stanford University, and Petschek Award, Juilliard’s highest honor awarded to a pianist. Hailed by the London Times as “a pianist of powerful physical and imaginative muscle,” Tanya Gabrielian combines emotional vulnerability with thoughtful artistry, captivating audiences worldwide with her gripping, commanding performances. The concert will be held at Yamaha Artist Services Piano Salon, 689 5th Ave., New York City. 212-339-9995 for more information. Notes: Inna is Artistic Director and performer of a festival of Liszt’s music to be held at YASI (Yamaha Artist Services) to be produced by Pro Musicis and Yamaha Artist Services.